Interesting thoughts Katy. I know I have to be mindful sometimes not to get so into the mindset of “is that academic talk?” that I let opportunities to connect and help in other ways by simply talking and listening pass me by. Thanks for the reminder. Thanks for commenting, Kathy! There’s so much going on in our classrooms (always!) that it’s hard sometimes to connect in other ways. I’m so guilty of forgetting conversation beyond academic. My upper elem kids are in a critical and pivotal development point of their childhoods. They are making major decisions that can very well shape them into adulthood. Thank you so much for the reminder to reach beyond the academic dialogue. Apparently I need to start watching Pretty Little Liars. I’m so left out! My friends huddle over this thing after a new episode, and I’m so left out! Ha ha ha, yeah, Pretty Little Liars has quite a cult following 🙂 I taught upper elementary for a while before making the leap to middle school, and definitely there are huge decisions to be made and issues to be processed. Such an interesting balance we need to create. Academics versus life. Agency versus asking for help. 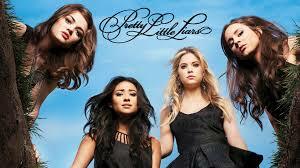 Pretty Little Liars versus Louisa May Alcott. These issues are intertwined and difficult to prioritize. Having an open mind and mindset to possible needs and sources of information can help. Thank you for this post. Interesting comment! I never even thought about the contrast between Pretty Little Liars and Louisa May Alcott 😉 But you’re right – lots of balance needed.